It seems to be a toilet. I try to close the door. Then, those who hold the outer door knob. It seems to be an acquaintance man. "How about this, are not you troubled?" He seems to be joking. I do not know his mind. 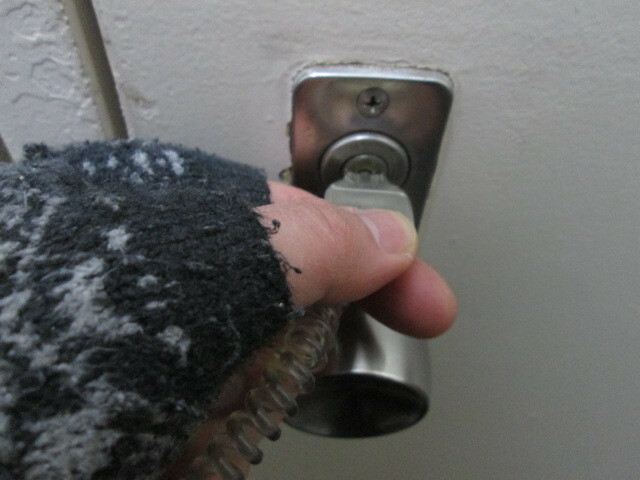 he tries to disassemble the buckle-type lock. I was not joking at all. the door to the private room will not close. I got angry past the shock.